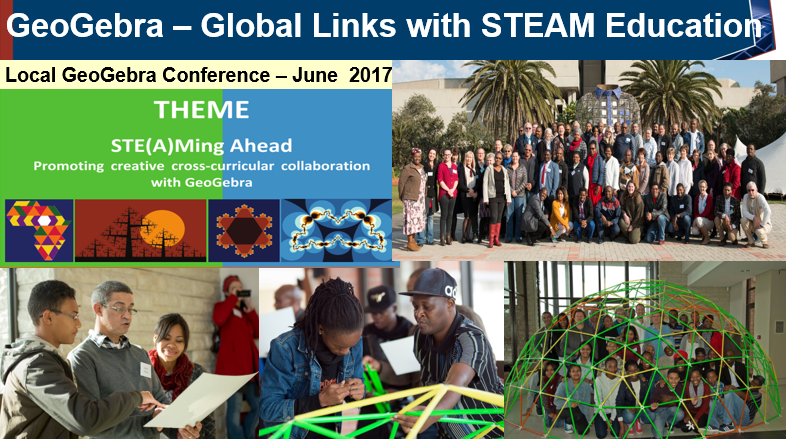 GeoGebra -STEAM Education activities leading up to regional conference in South Africa. 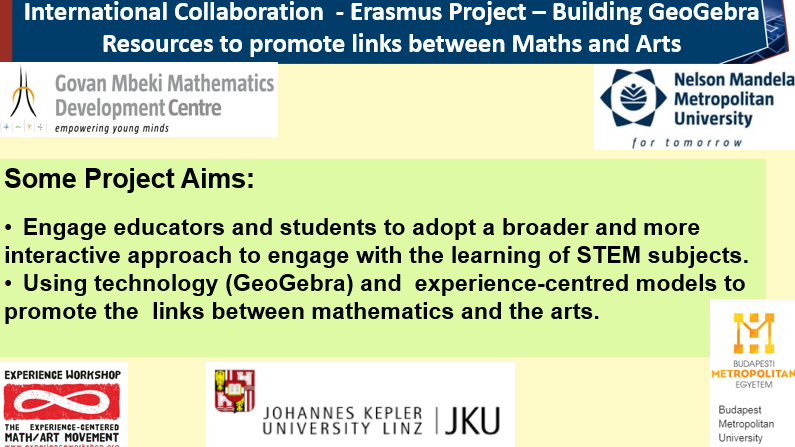 Local conference to introduce STEAM Education and the use of GeoGebra to promote links between Maths and the Arts. 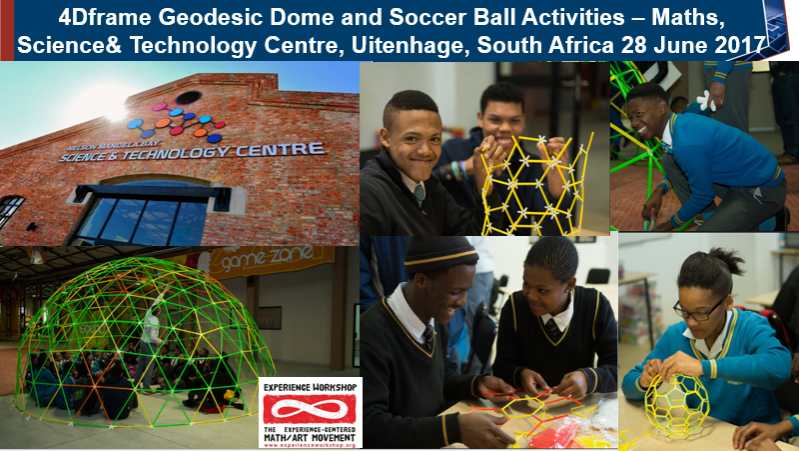 School learners from township areas in Port Elizabeth also participated in practical activities linked to mathematical modelling and the use of GeoGebra.